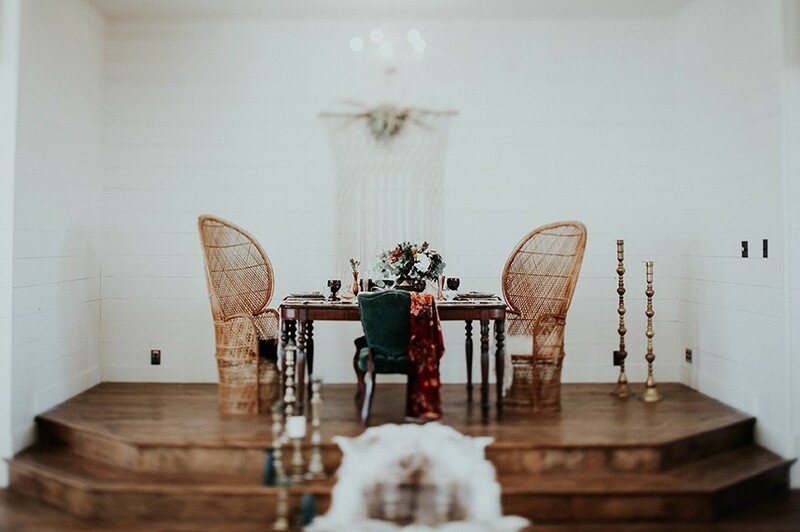 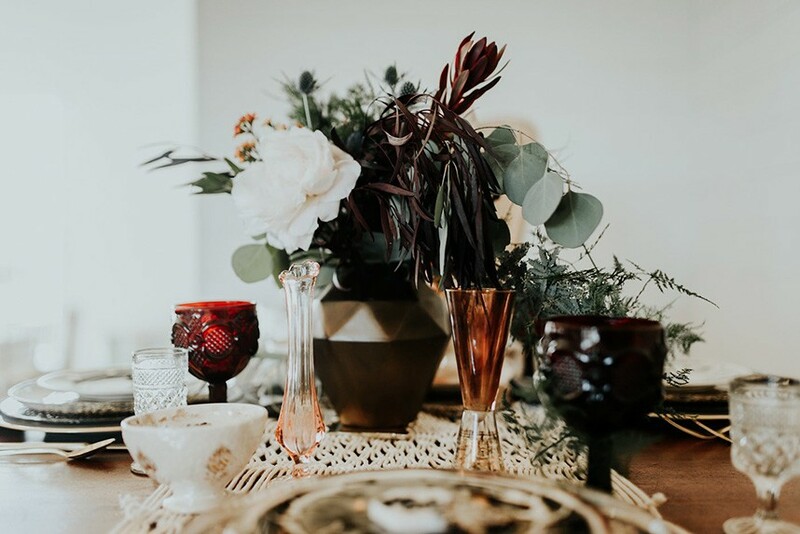 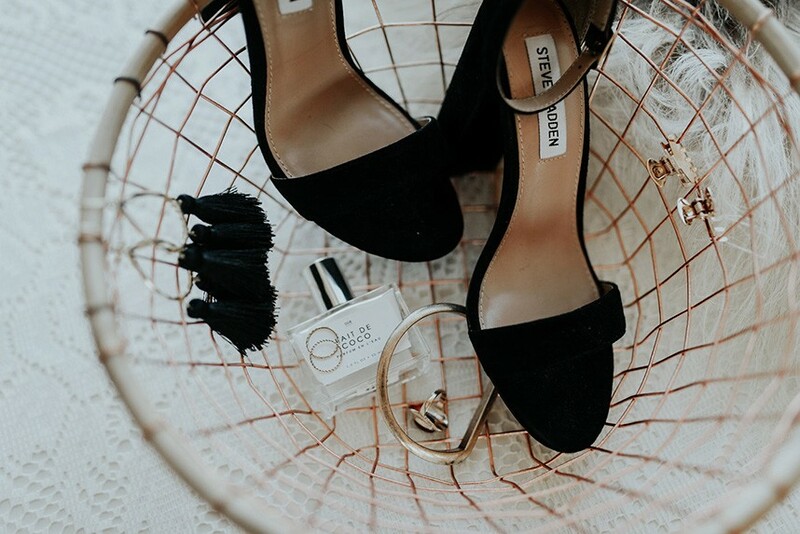 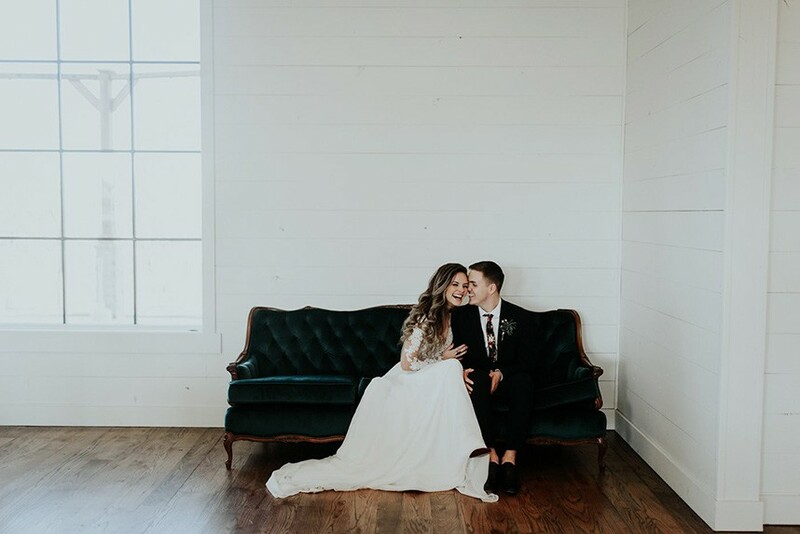 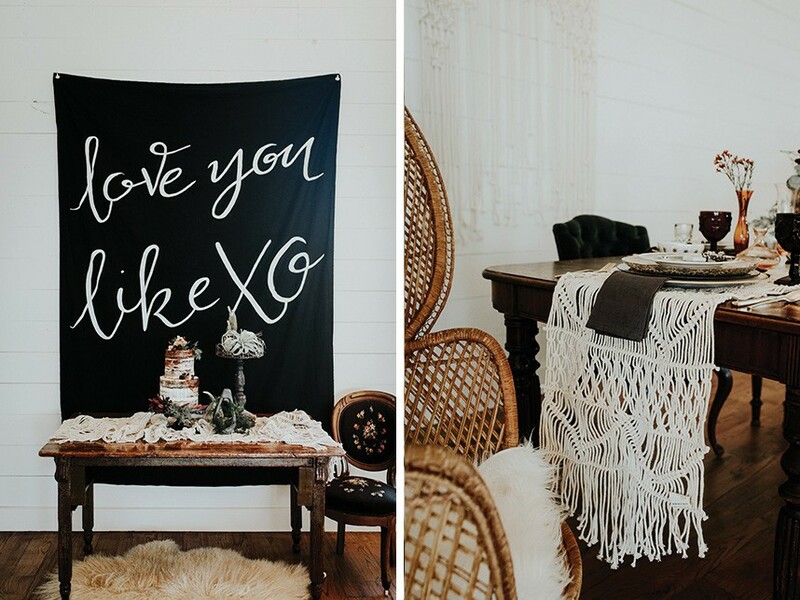 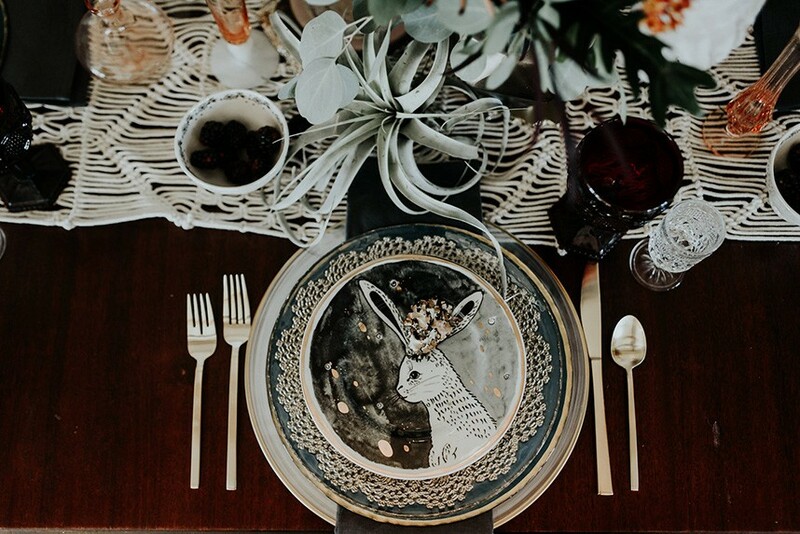 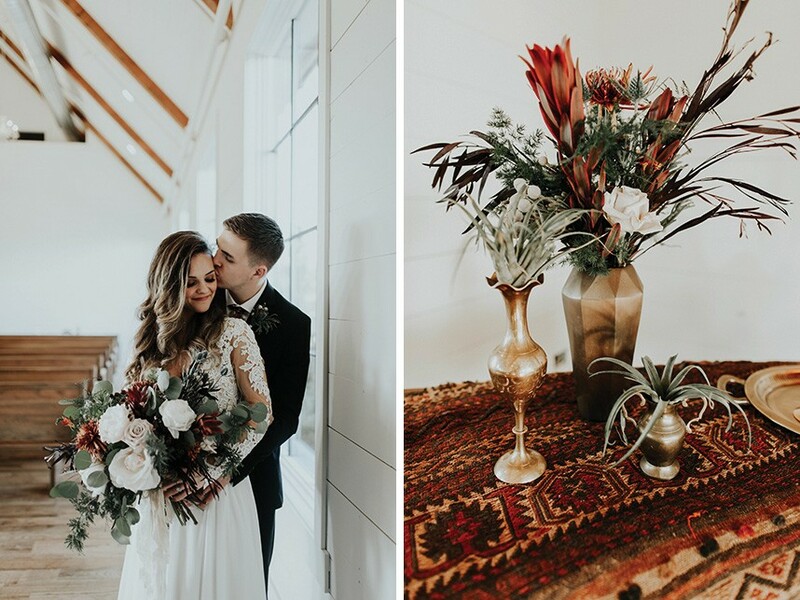 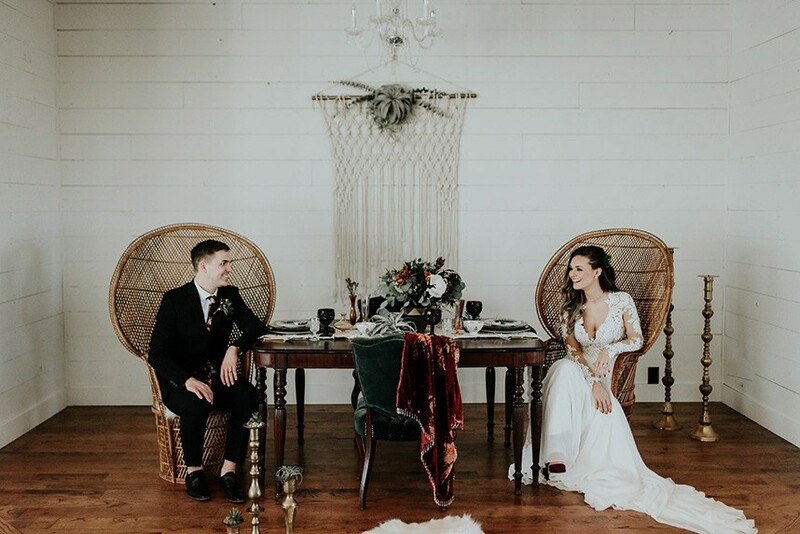 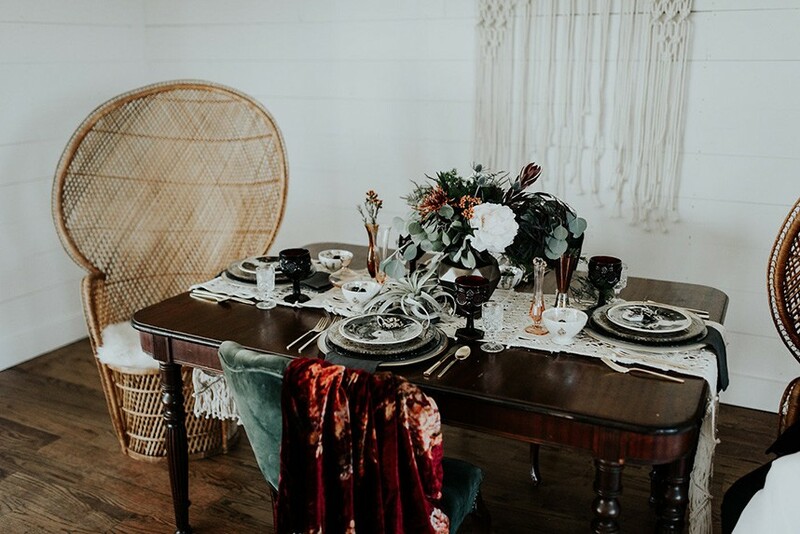 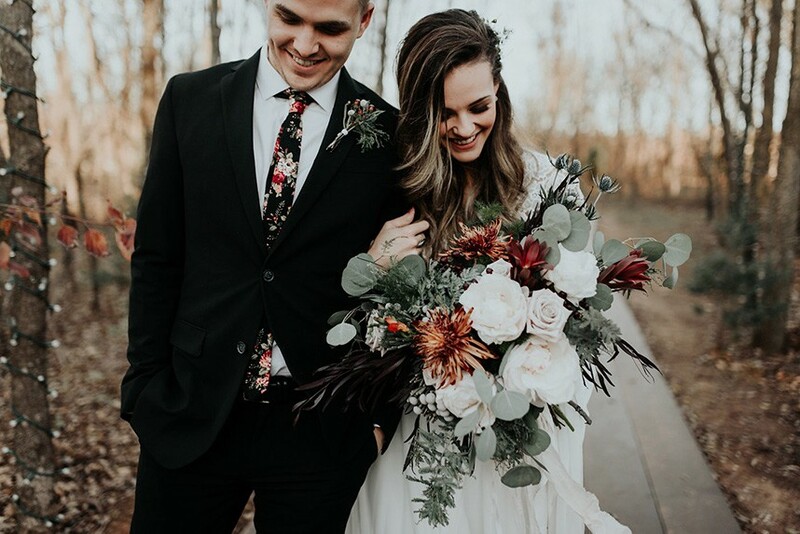 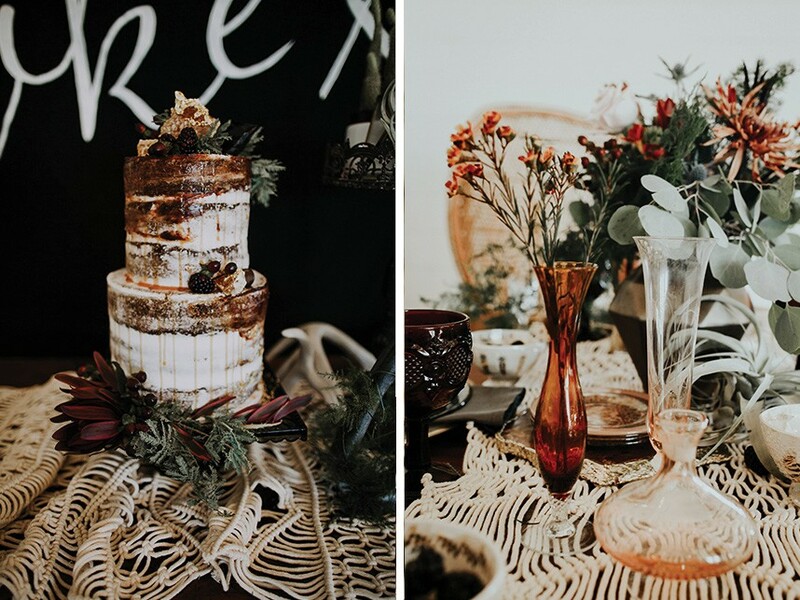 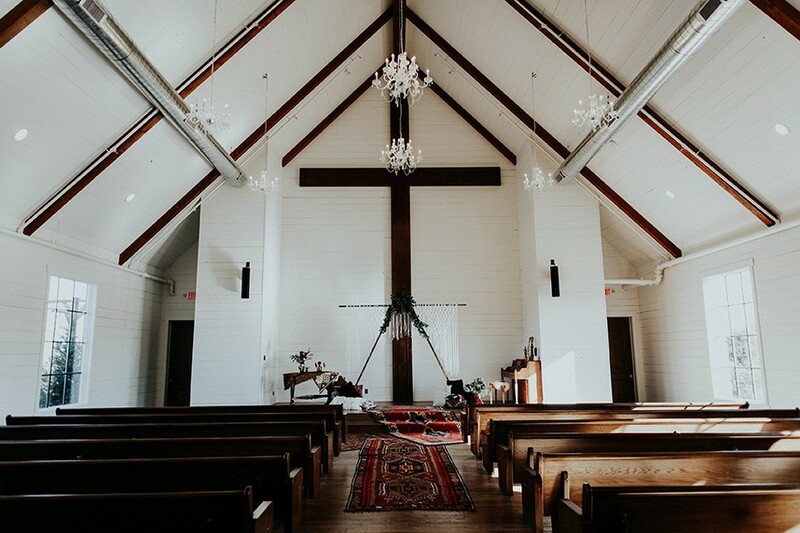 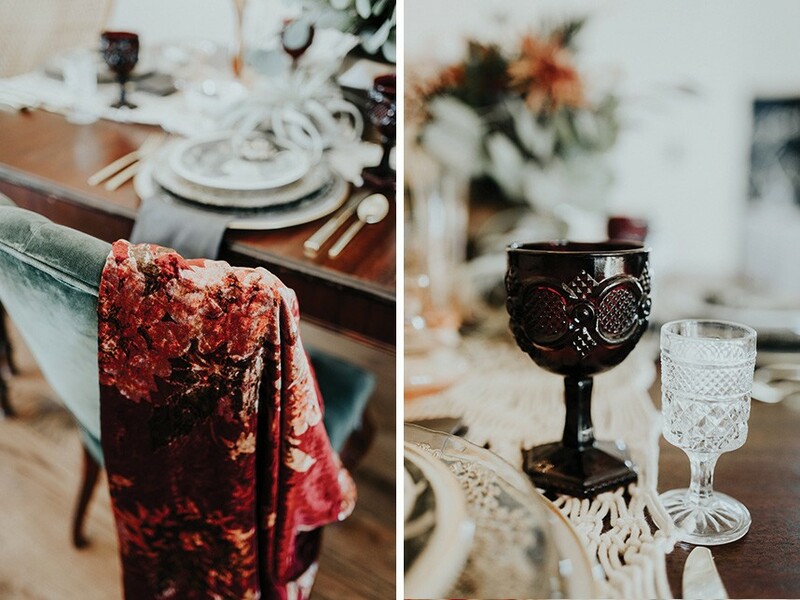 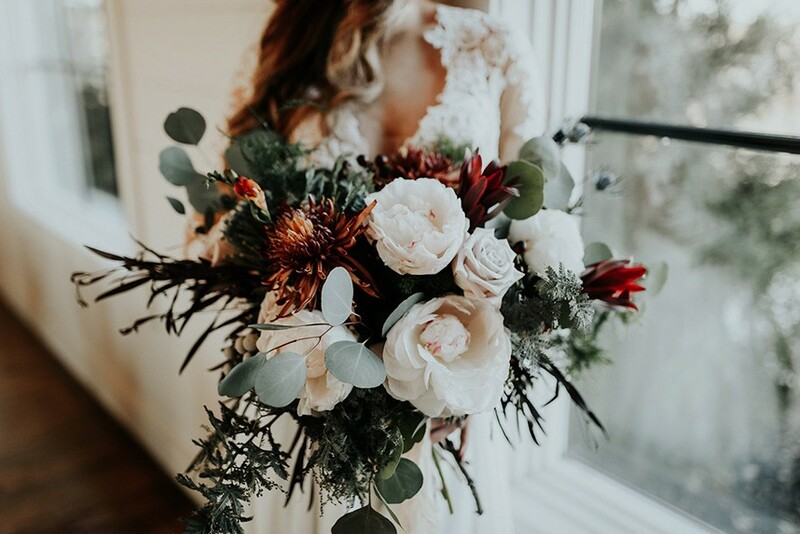 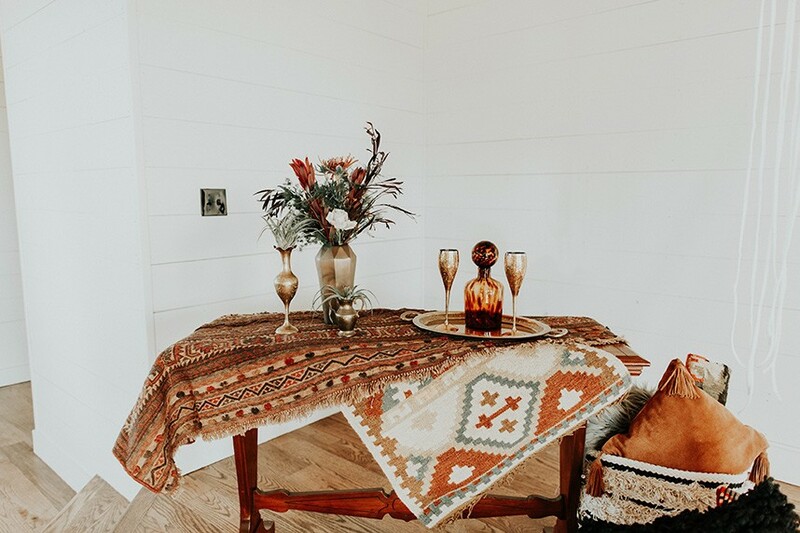 With the gorgeous Southwind Hills Chapel as the backdrop, this fantastic team created an intimately luxe styled shoot, bringing us endless amounts of bohemian wedding inspiration! 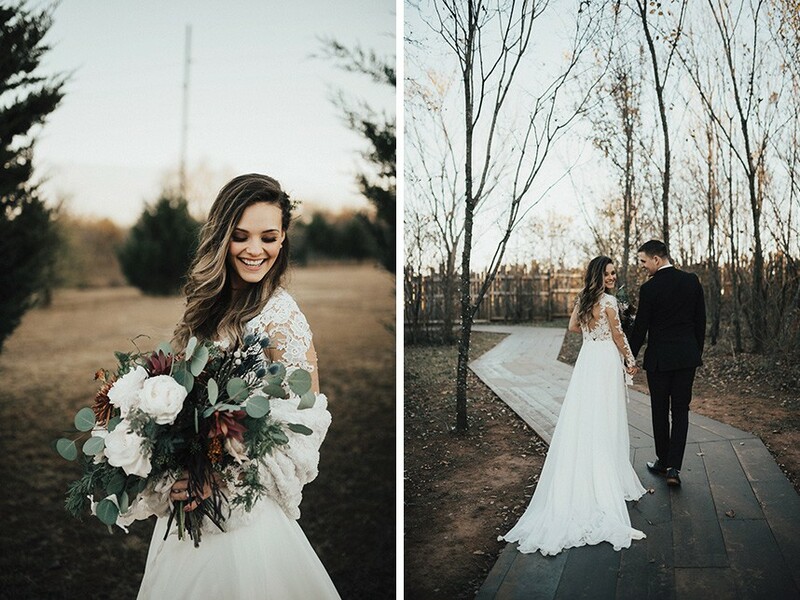 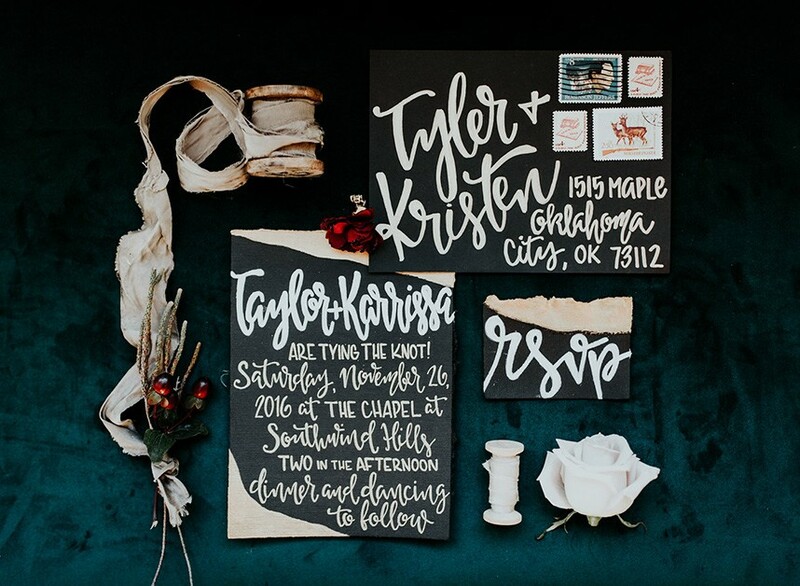 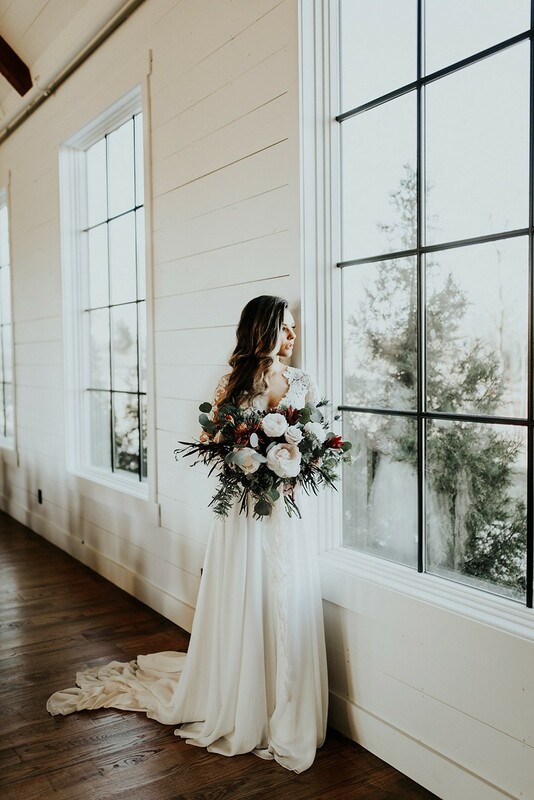 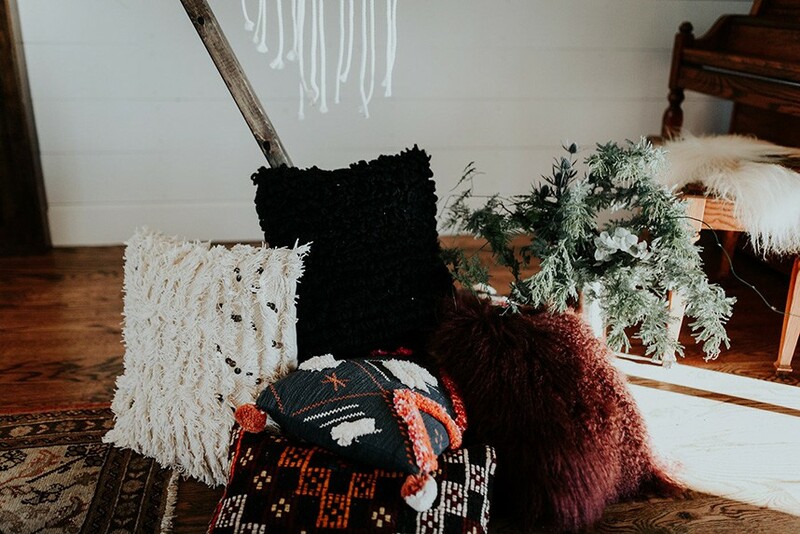 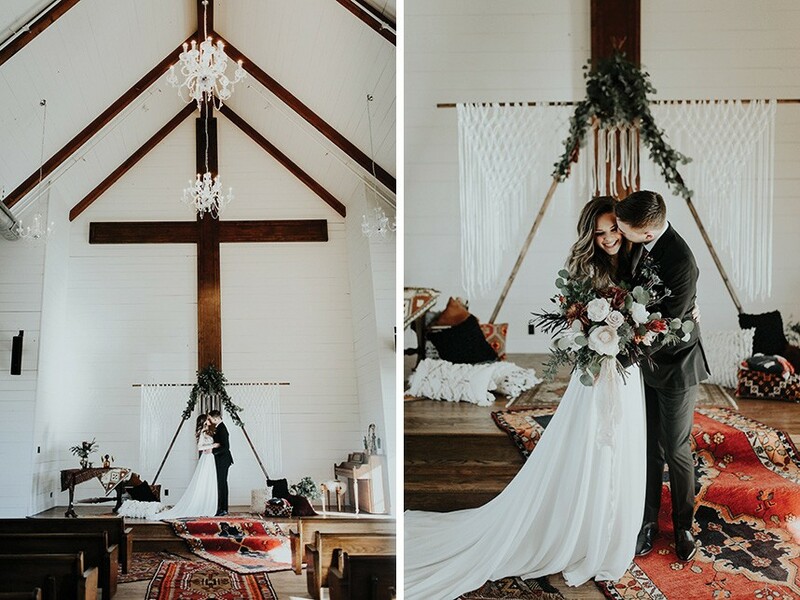 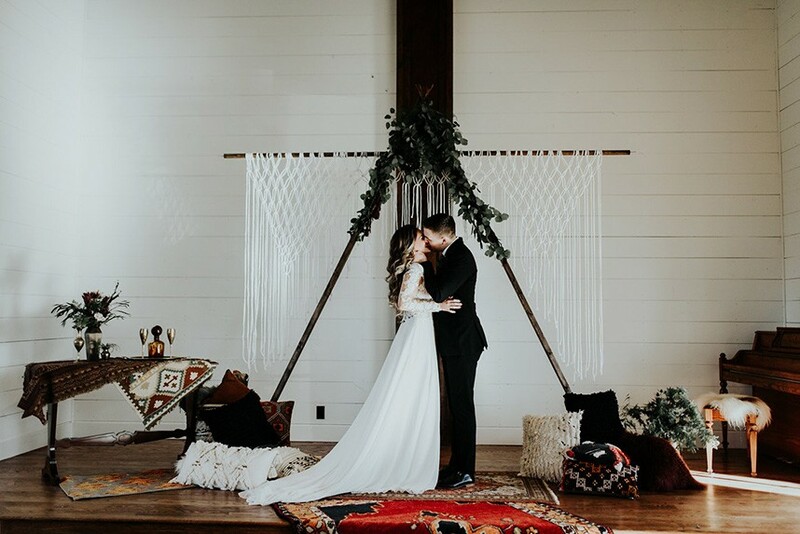 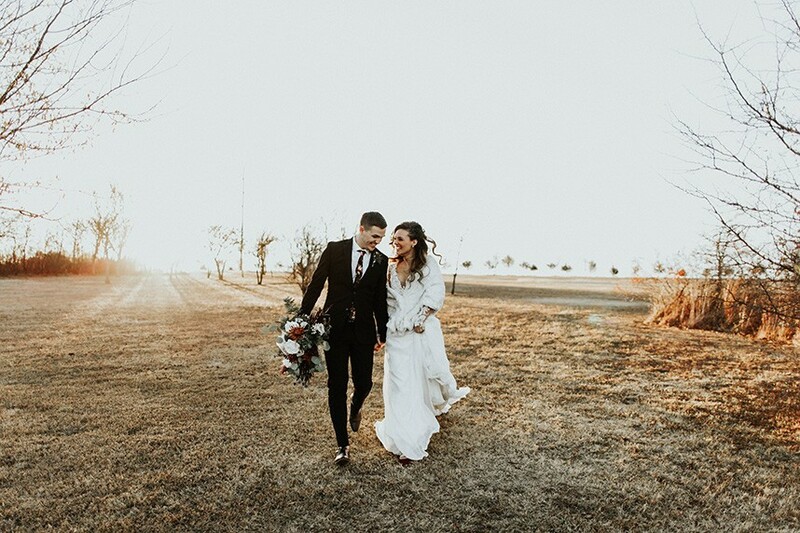 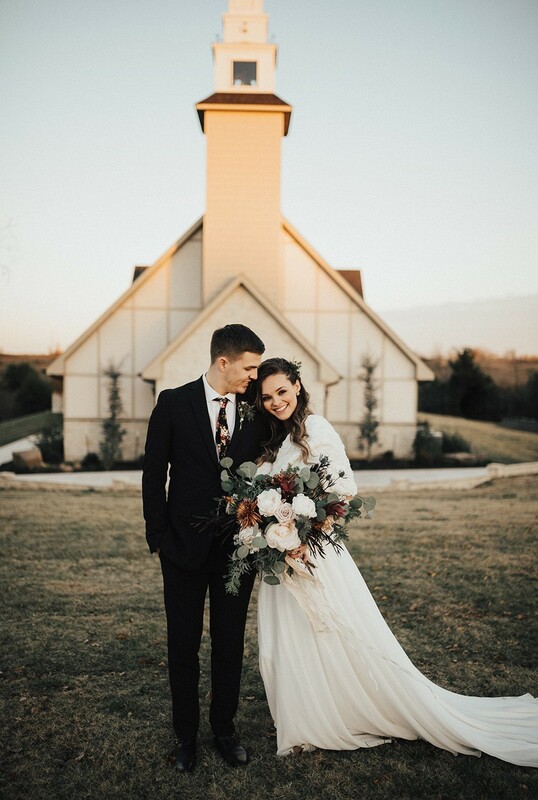 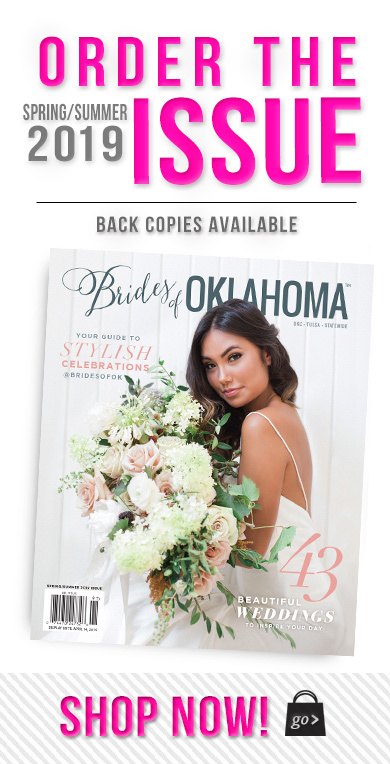 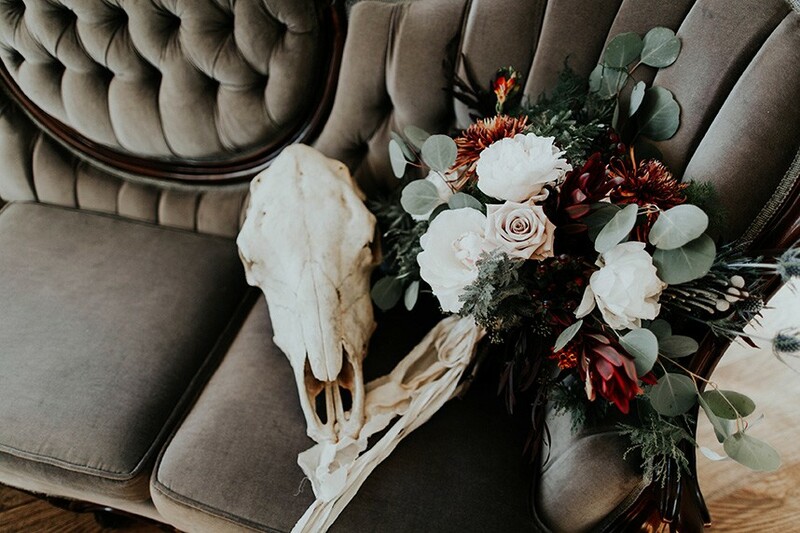 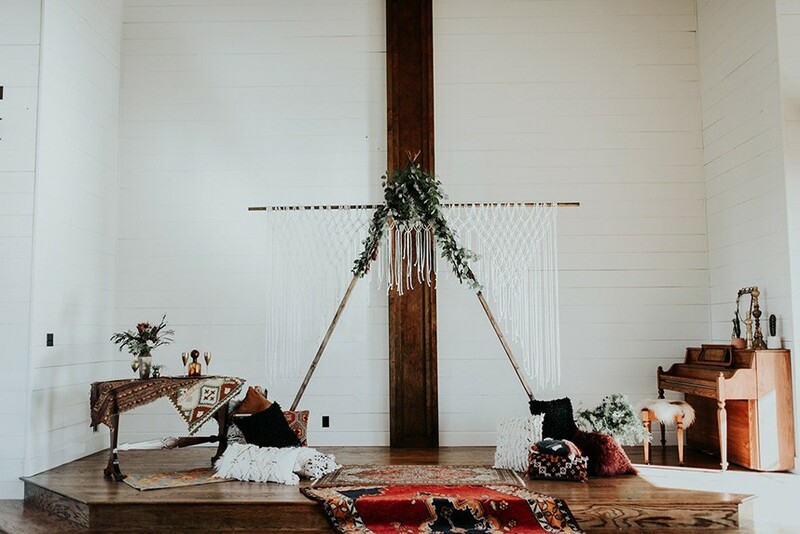 Peyton Rainey and Chelsea Denise easily captured the free-spirit feel of the shoot both inside and out of the the chapel, from the greenery and macrame adorned alter to under the golden light of a perfect Oklahoma winter sunset. 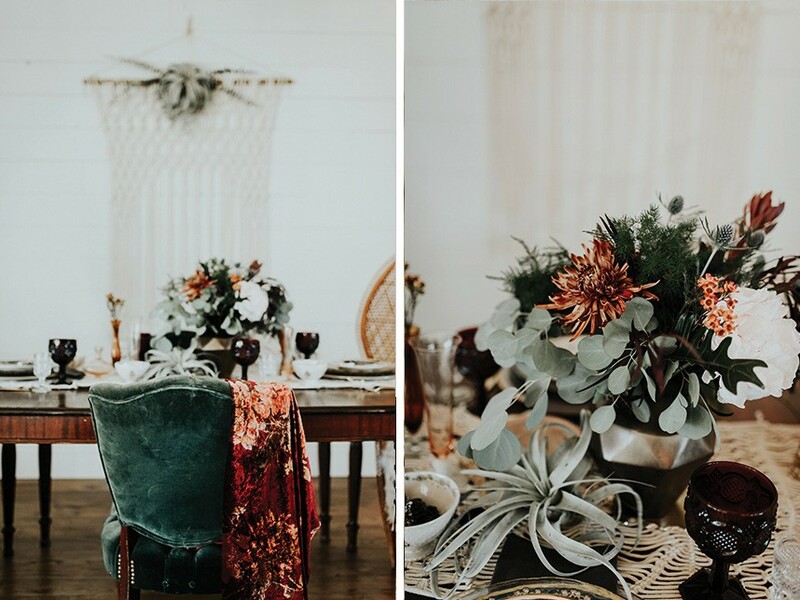 Forever Cole Events created the most extraordinary floral arrangements to fit each vignette of the shoot. 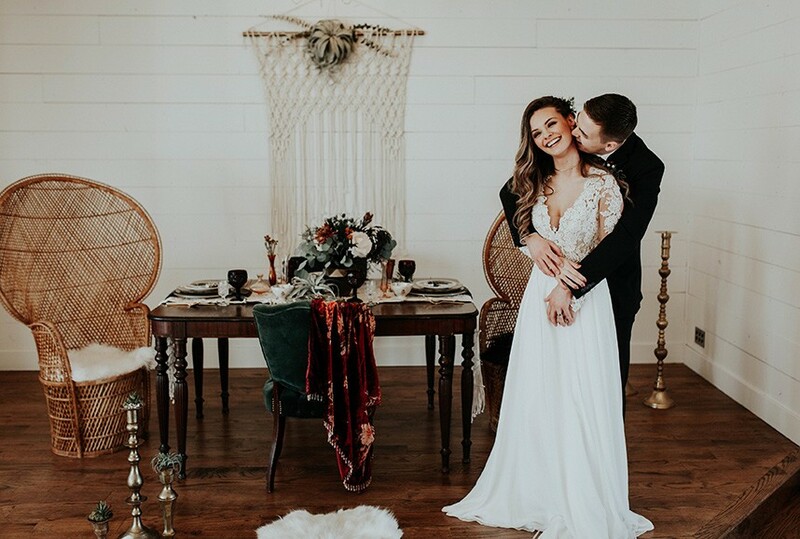 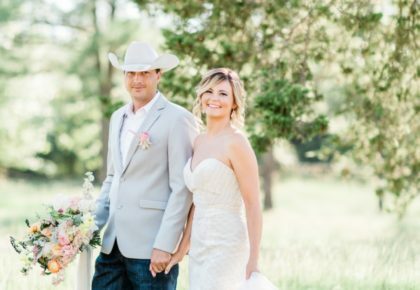 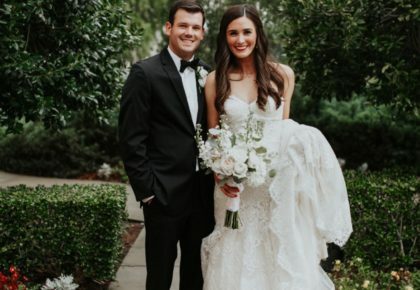 The model bride stunned in an ethereal, lacy, long-sleeve gown from Prescott Bridal, with a golden, glowy makeup look created by Chelsey Ann Artistry. 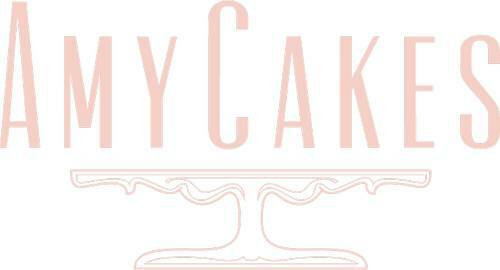 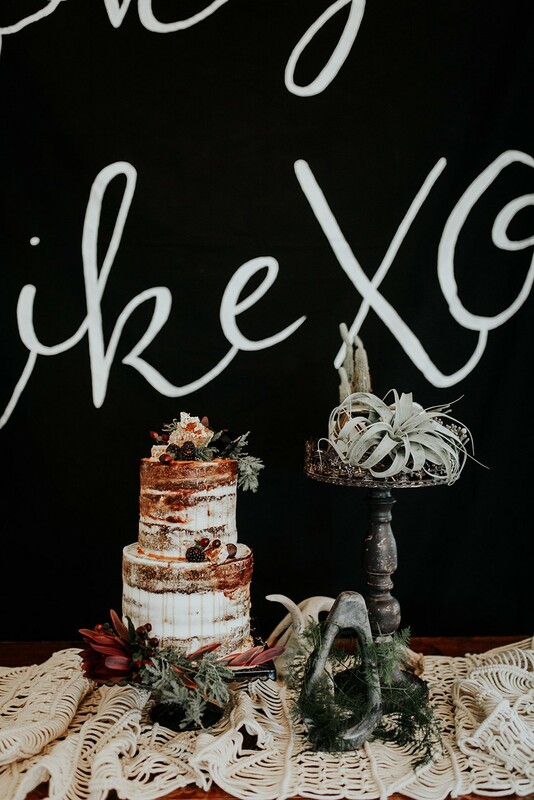 Shades of umber, rusty red, teal and forrest green were interwoven through the decor, providing a rich color palette in everything from the table setting to the unique and thematic tiered cake from Amy Cakes. 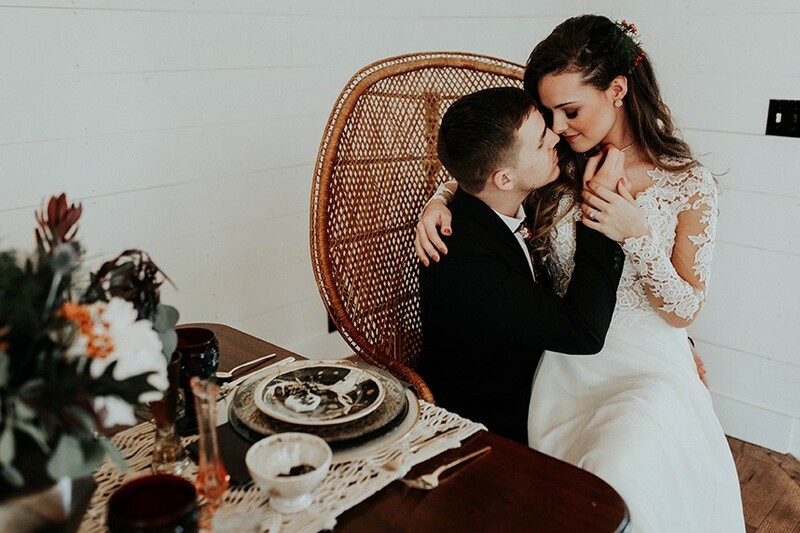 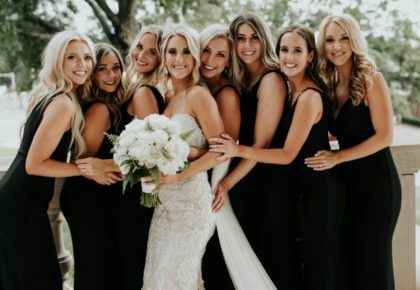 We can’t get enough of this stunning shoot!